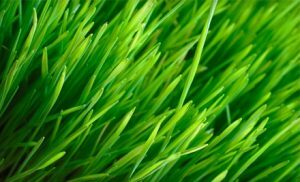 With more than 13 years of experience in the green industry, Lawn Concepts’ specialists have noticed that homeowners in our community had a hard time with fertilization and weed control tasks. If mowing, watering and pruning can be turned into fun weekend hobbies, fertilization and weed control give many people a lot of troubles. The use of shelf-bought substances and sprays, the incorrect applications (independent of season and weather conditions), the miscalculation of quantities or the poor identification of attacking weeds did lead to severe consequences in the last years. For this reason, we have developed a thorough, science-based, flexible 7-Step fertilization and weed control program tailored to ensure the protection of your lawn and landscape all year long. The program consists in treatments and applications recurring once in 5 to 7 weeks. However, we perfectly know that one size doesn’t fit all and sometimes in our area the weather isn’t always by our side. This is why our above-standard program is personalized so it does fully comply with climacteric restrictions and opportunities. It is meant to nourish and strengthen your soil and vegetation roots, fending off weeds in the same time and to still preserve the integrity and health of the ecosystem. The main problem with chemicals and fertilizers is that they can negatively impact the soils’ pH and chemical composition, alter the underground water resources, affect beneficial insects and plants and become noxious for children and pets. Our blend of organic and inorganic treatments significantly reduces such risks, rendering your landscape lush, healthy and thriving all year long. Of course, the program is not implemented “in blind”. We regularly assess the situation on site and make the proper adjustments along the way to enhance the benefits of the program and eliminate its potential risks. You benefit from free estimates (via phone or email) and free service calls. We constantly innovate and improve as all our programs and methods are based on science and hi-tech equipment. All our employees are licensed in implementing fertilization and weed control programs in full compliance with local regulations and environmental principles. We make things easy for everyone: no contract and no hidden fees; convenient online services; online payments or auto-pay setup; you can request or add new services in your year-round lawn care Grapevine TX plan; you can see our technicians’ service notes and so on. You don’t have to call us every time we have to perform an application, as we respect the schedule we set together. We are your best and safest bet when it comes to fertilization and weed control. Why risk damaging your lawn, why waste time, money and effort? Our lawn care Grapevine TX specialists are looking forward to being put to the test! And if you really don’t like risks, then you should be glad to know we offer a Money Back guarantee: in case you are not 100% happy with our results, we will redo the job or refund the money for the last application!